Don't let them gut the Endangered Species Act. America’s most vulnerable wildlife is in jeopardy—because Congress is considering multiple attacks on the Endangered Species Act. This is an outrageous assault on America’s natural heritage. We can’t let it stand. The Endangered Species Act only works if it’s based on sound science and the needs of the creatures in question are put first—and those are the very components undermined in two bills. The first would prioritize economic impacts over wildlife well-being, meaning species could be wiped off the map if protecting them was deemed too expensive. The second would require that state and local data be automatically deemed "best available science," even if other, better data was available. 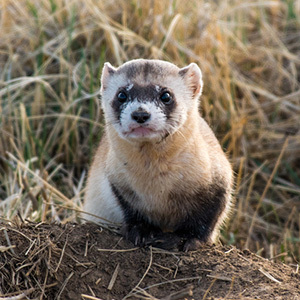 Take action today, and tell your Members of Congress to stand with the 9 out of 10 Americans that support the Endagered Species Act—and against this attack on wildlife. 9 out of 10 Americans support the Endangered Species Act -- including me. I'm writing today in opposition to bills moving through the House of Representatives that attack the integrity of the ESA. While individual bills may seem benign, the cumulative result of them undermines the very core of the ESA. For example, one bill would -- for the first time in the law's 44 year history -- require the Fish and Wildlife Service and National Marine Fisheries Service to consider economic impacts of a listing. Doing so is anathema to the basic tenets of the law and puts us on a slippery slope to prioritizing profits over America's natural heritage. Another bill would undermine the integrity of the scientific process, undermining the very foundation upon which the ESA relies. Please protect America's wildlife, and vote as the majority of Americans would want: Against bills that compromise the integrity of the Endangered Species Act and the very species it was designed to protect.